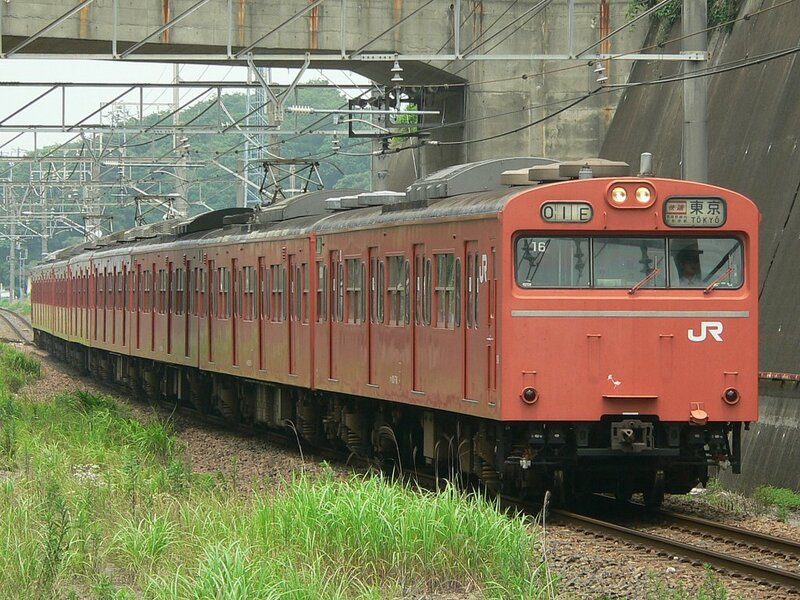 The Chuo Line Rapid is one of the most important commuter lines heading into central Tokyo from the suburbs. Thus, it is ultra-crowded in the mornings and evenings. The two terminals are Tokyo Station and Takao Station. Hachioji and Tachikawa are two important terminals on the outskirts of Tokyo while Shinjuku is the most crowded. 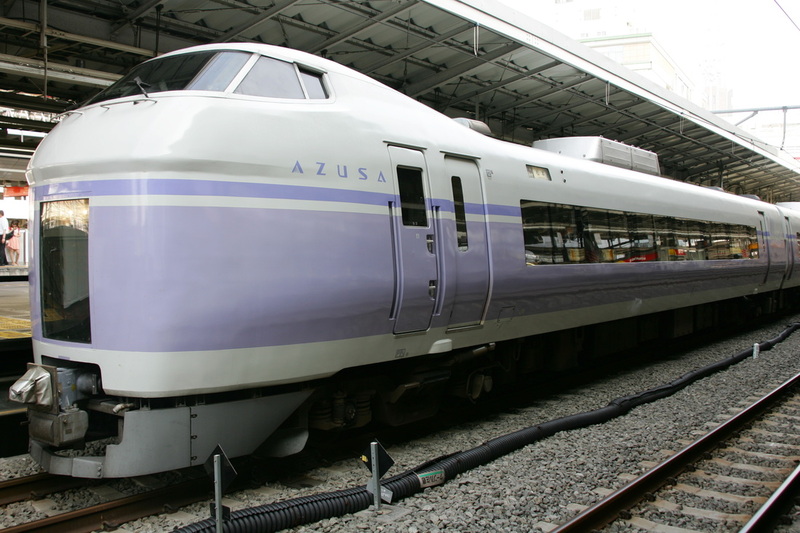 The Chuo Line Rapid gets its name from the fact that it is a rapid train that runs on the Chuo Main Line which actually extends all the way to Nagoya in Central Japan. 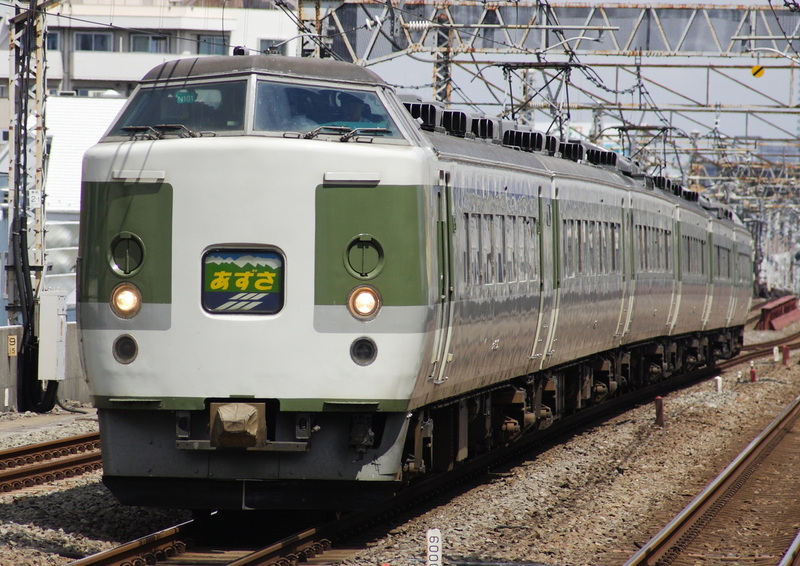 The regular train is operated separately as the yellow Chuo-Sobu Line. 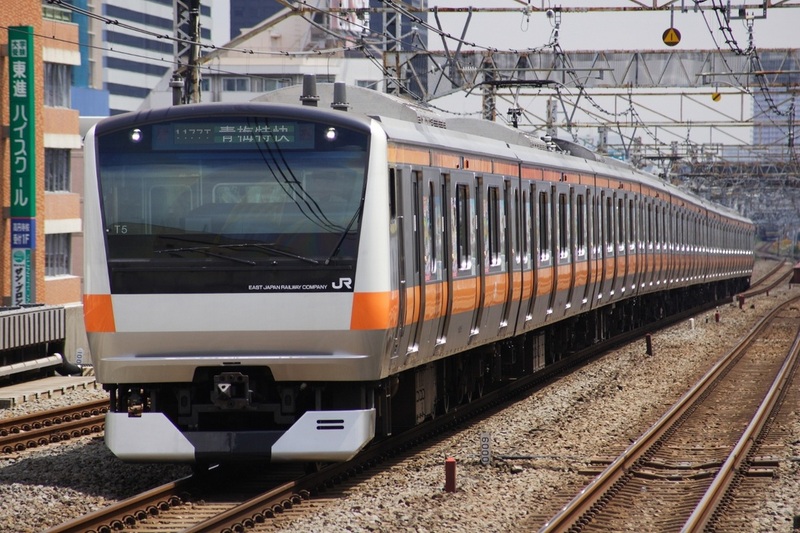 Officially, the tracks that it runs on are known as the Chuo Express Line but it is often called the Chuo Rapid Line due to the fact that rapid trains --not express trains-- are run. 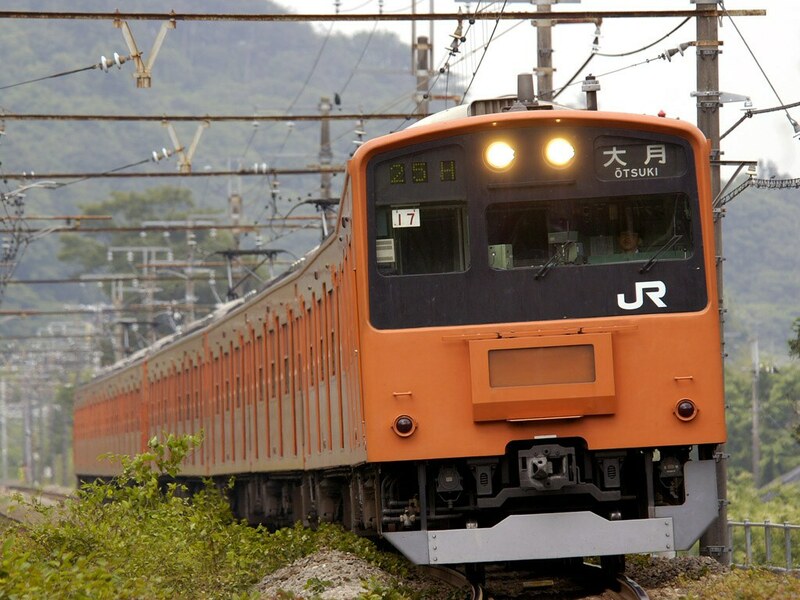 The Chuo Rapid is infamous for being behind schedule due to constant accidents, so expect delays when riding the train. 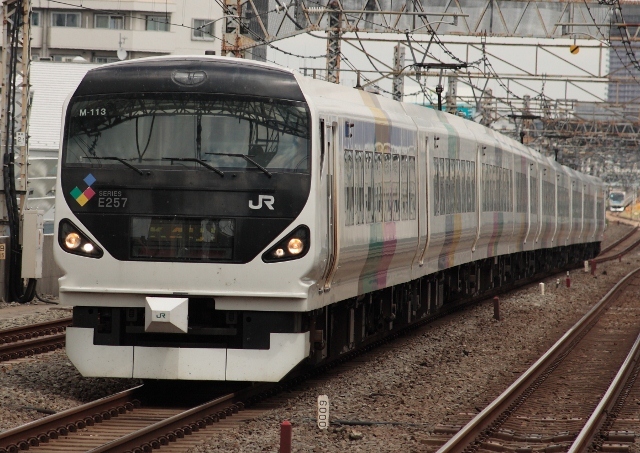 Some trains split at Tachikawa station and head towards Okutama Station on the Ome Line or towards Itsukaichi on the Itsukaichi Line. If you're on one of these trains, make sure you know which end of the train you need to be on, otherwise you might be stuck heading out into the mountains. Tachikawa station is an important station for people heading into Tokyo from the suburbs. You might find yourself at least passing through here if you're heading for the hills for some hiking. You can change to the Ome, Itsukaichi and Nanbu Lines at this station. This station may not appear to be too important, but this station is used by the thousands of people that flock to Mt. Takao every weekend. It's the closest thing to a mountain in the Tokyo area making it a very popular destination for people tired of city life. 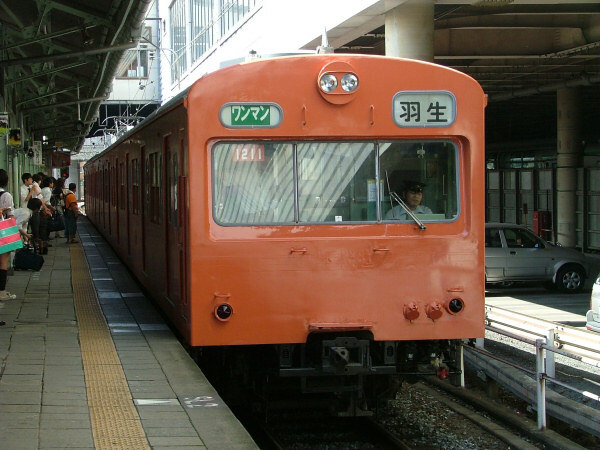 The Keio Takao Line also stops at Takao Station.